Select an assortment of 18 Dark prints and 9 Background prints. 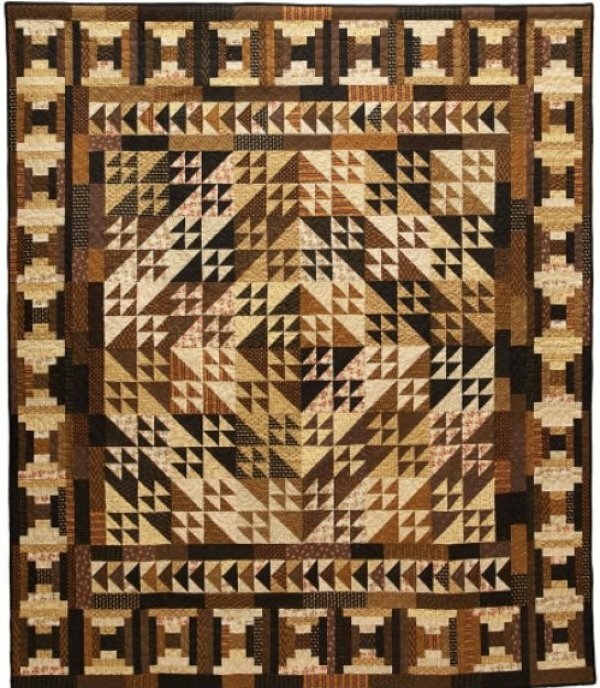 This fun quilt uses the traditional Birds in the Air block for a central medallion. Add some Flying Geese and Courthouse Steps blocks to make a really fun project. The photo on the pattern cover shows the smaller quilt. A second round of Courthouse Steps blocks frames the larger quilt. We suggest 2" and 4" half-square triangle paper for this project.